We construct plants for industrial water treatment exactly according to your requirements. Our production facilities are located in Germany and Switzerland. Key process components such as pumps, valves, taps, measurement and control equipment are supplied by leading German and Swiss providers. We can build plant technology that precisely meets your needs, whether you require a plant for water treatment, water recycling or waste water treatment to be built from scratch, expanded or upgraded. Our plants are produced by certified and qualified personnel, using the most modern production methods. We create the electrical planning in our electrical engineering department, programme the system controls and assemble the control cabinets. 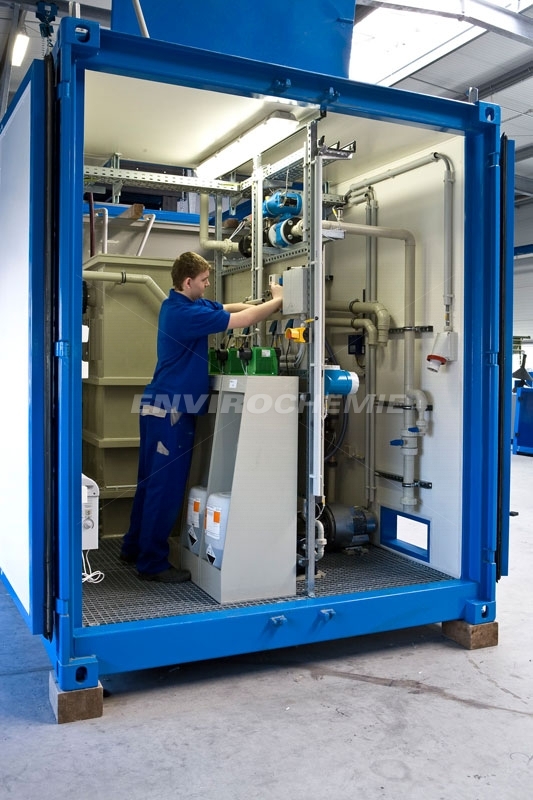 The EnviroChemie plant technology is characterised by the long service life and high energy efficiency of the components and processes used. An additional benefit is the long-term security of the spare parts supply.